I have been making this cake for years and it is one of my all time favorites! And the best part is you can use almost any type of fruit - I've even used canned pie filling. - Place blueberries in bottom of deep dish pie plate. Sprinkle sugar over, and drizzle lemon juice. - In a bowl, cream together margarine and sugar. Beat in eggs. - Mix in baking soda and sour cream. 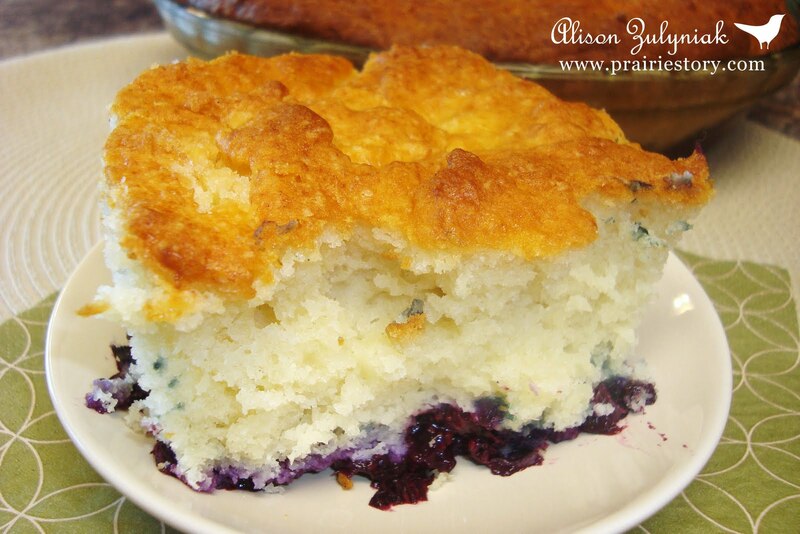 - Dollop batter over blueberries. - Bake @ 350 for 45-60 minutes, until toothpick comes out clean. - Always best served warm!! What a GREAT recipe! I would love it if you came over to Cast Party Wednesday and shared this recipe with us! I have my version of this in the oven and can't wait to try it! I changed it slightly by using a can of apple pie filling sprinkled with blueberries and I added vanilla extract and cinnamon to the batter. Thank you!